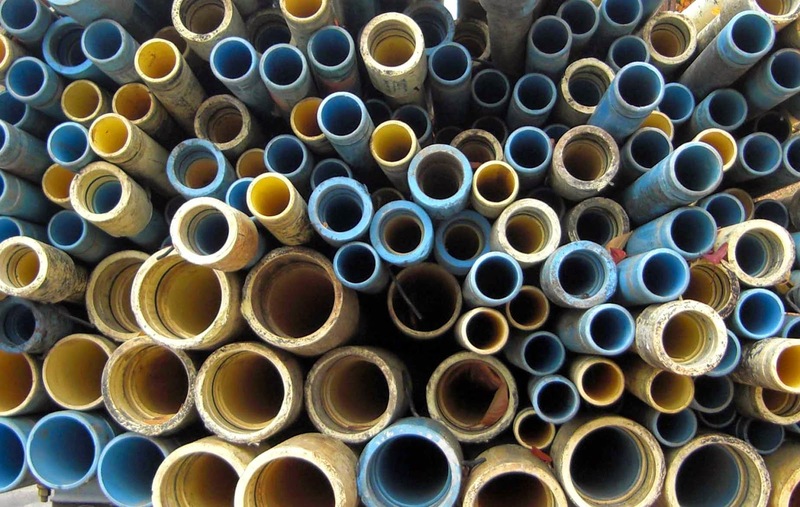 A workman chuckled as I stepped into the street to take photos of the truck laden with pipes. To him, they were the mundane supplies of a job waiting to be done. To me, they were an arresting pattern. A circle is the ultimate example of perfect symmetry, the same all around, without beginning or ending point. This makes the differences in sizes and colors stand out. The shapes of those pipe ends remain orderly in the midst of quiet disorder. You could call it a design oxymoron. Not far from the center of Milan is the church of San Maurizio. 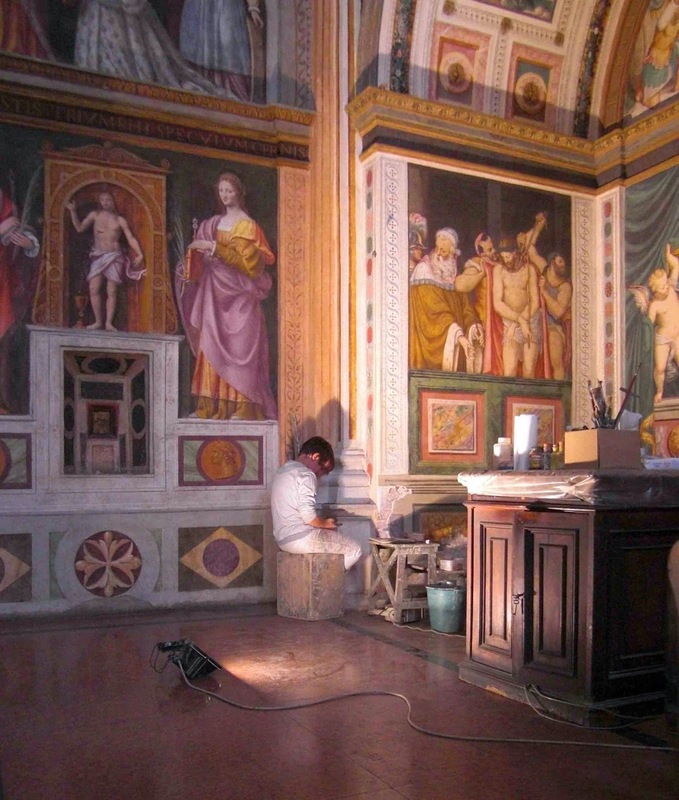 The main chapel is covered in frescoes by Bernadino Luini. He was such a talented follower of Leonardo da Vinci that, in the past, some of his work was mistakenly attributed to da Vinci. Off to one side of the altar, a restorer took a short break. So many churches, such slow and painstaking work...it must sometimes seem like a futile task. The bright lights gave us a rare opportunity to see the colors as they would have looked when Luini painted them in the 1500s. How lucky we were to be there on that day. If you are a teenager living in a small hill town in Italy, where do you hang out with your friends? 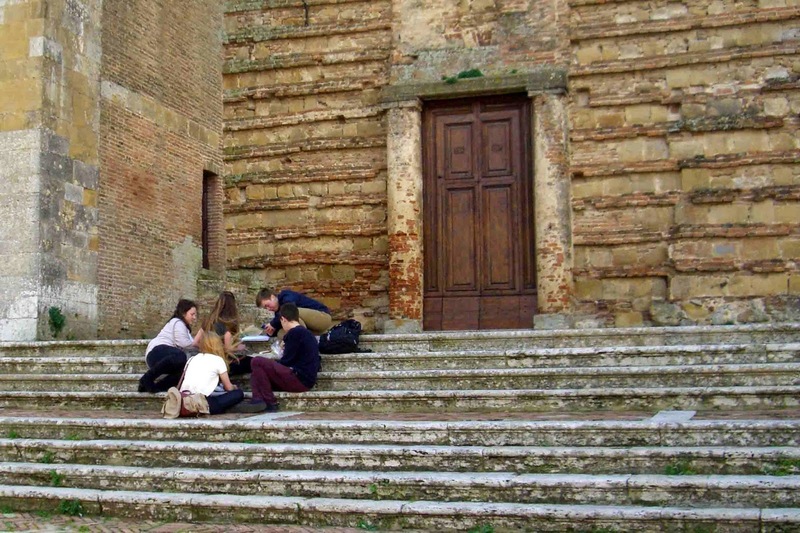 In Montepulciano, you gather on the steps of the cathedral, in front of the long-unfinished facade. This town may be historic and scenic but does that matter to a fifteen-year-old? Do they dream about going away to larger, seemingly more glamorous cities? Will they come back? Will they be able to make a living here if they do want to return? 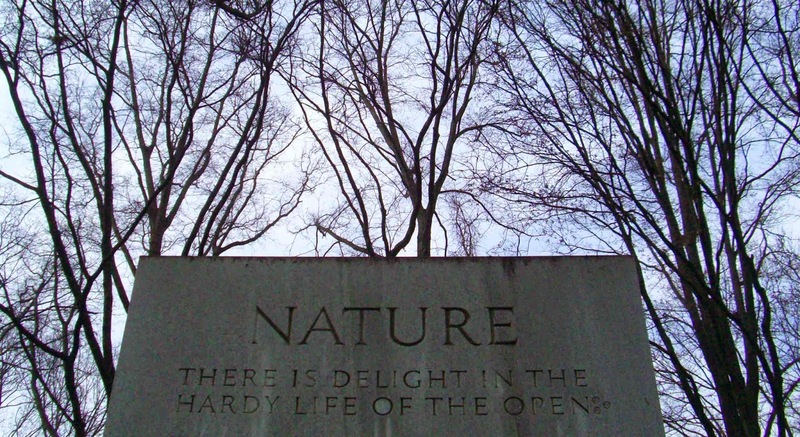 Has all that beauty and history become a lasting part of each of them? I hope they will carry it with them as they go on to meet their futures.